How many Ukrainians work in Poland? Currently, there is about one million Ukrainians work in Poland, however, only 300 ths persons are registered in the Pension System. People are sent from Ukraine as if on business trips. As soon as they receive a work permit there, they are discharged in Ukraine and are not insured at the place of work. A person paying no any insurance premium he/she does not have any record of service. If returning to Ukraine he/she does not have right for pension in neither country. Due to the labor migration process Ukraine faces a problem of experts’ lack. If this tendency continues we will have a complete staff shortage, even unqualified. 7 million citizens of Ukraine are involved in seasonal labor migration, in addition to that 3,2 mln work constantly abroad. 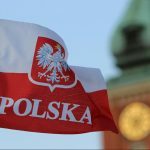 Before, it was reported that three fourth of Ukrainians working in Poland have jobs associated with physical work, and only 1% of Ukrainians in Poland posses the executive clerk positions. This entry was posted in Translated Media-News from Ukraine and tagged job, labor migration, Poland, Ukraine, work on June 23, 2018 by oksana.